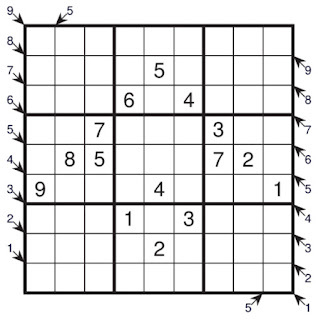 Thanks to Kishore for test-solving the sudoku. Enjoy Solving and Have Fun. Please provide feedback in the comment section. 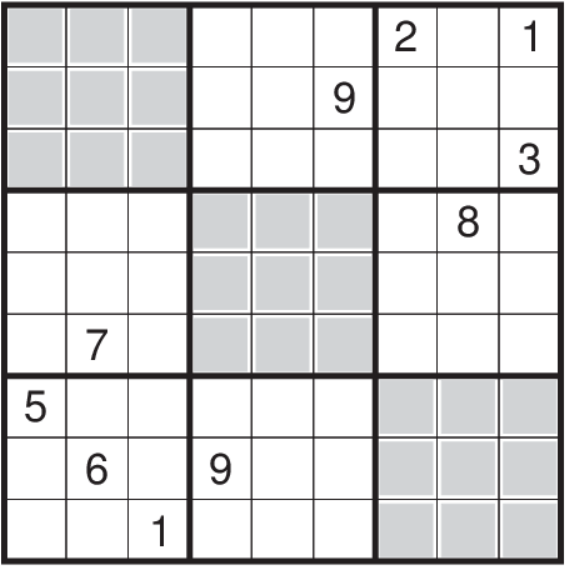 Place numbers in the grid such that each row, column, and 3*3 box contain the numbers 1-9. 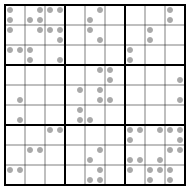 Additionally, the dots given inside some cells form part (or all) of the Braille representation of the digit. My 1st creation of the year 2019. 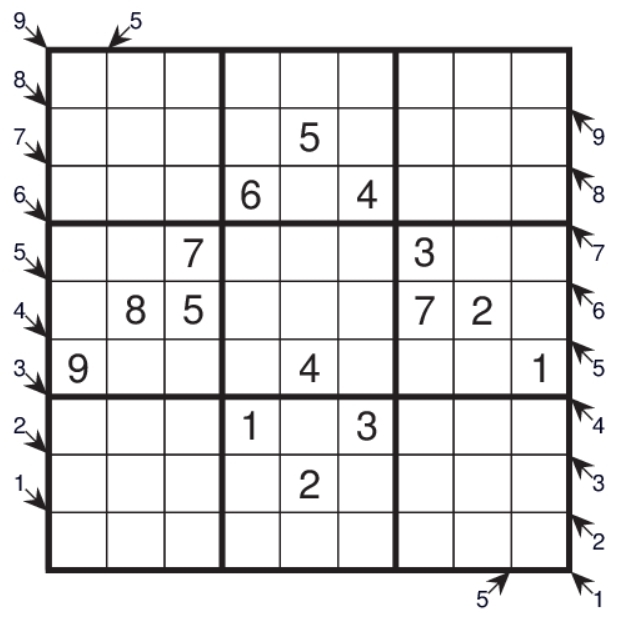 Thanks to Kumaresan for test-solving the sudoku. Place numbers in the grid such that each row, column, and 3*3 box contain the numbers 1-9. Additionally, digits in the grey areas must form a chain of consecutive digits from 1 to 9 by moving horizontally or vertically from one cell to the next. With my traditional way of saying HAPPY NEW YEAR. I create a special puzzle for you all and wish you to have a Great Year ahead in 2019. Enjoy Solving. 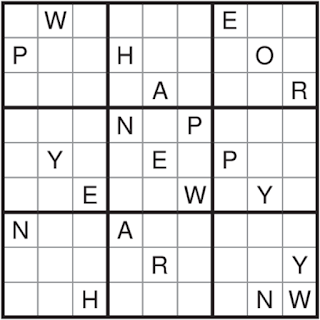 Place alphabets "H A P Y N E W R O" in the grid such that each row, column, and 3*3 box contain the alphabets only once. 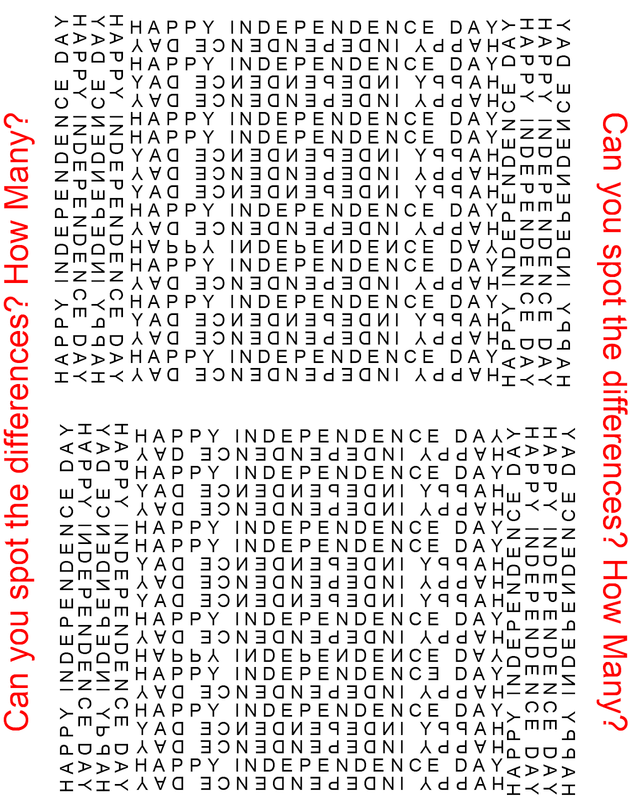 Independence Day Special Puzzle -- As a practice towards upcoming Indian Puzzle Championship 2018, National Finals to be held at Mumbai on 19th August 2018. Can you Spot the Differences between two images? How Many? Put your answer in the comment box. The answer will be revealed in 2 days. For Solution if necessary, can check out here. 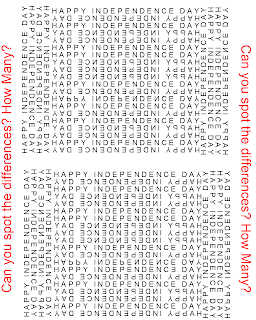 Puzzle idea is from Ramesh. 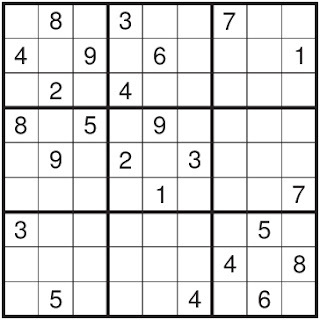 I kind of liked the idea and so attempted to create one sudoku of it. I have focused more on the theme rather than difficulty but I hope you will still enjoy it. 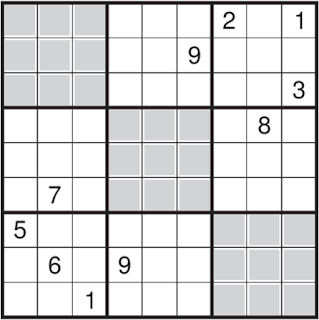 Place numbers in the grid such that each row, column, and 3*3 box contain the numbers 1-9. Additionally, digits outside the grid and adjacent to the arrow lies at least once in the cells pointed by that arrow. 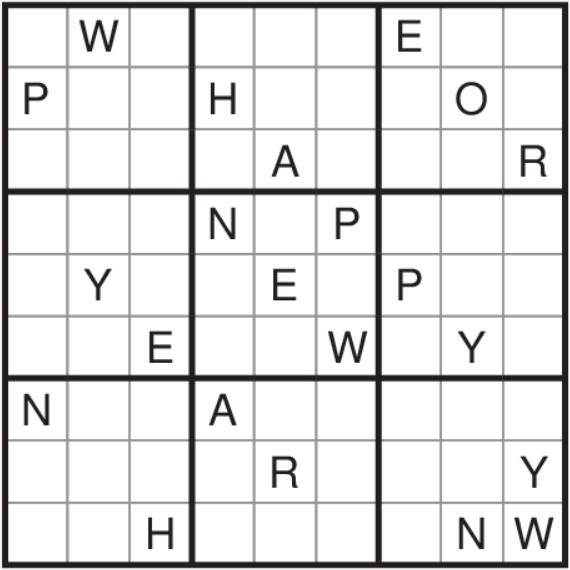 Place numbers in the grid such that each row, column, and 3*3 box contain the numbers 1-9. Additionally, one of the main diagonals (Top Left to Bottom Right or Bottom Left to Top Right) also contains numbers 1-9. It's part of solving to figure out which diagonal. 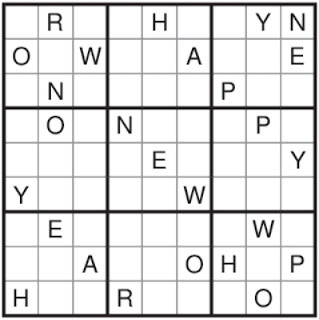 I create a special puzzle for you all and wish you to have a Great Year ahead in 2018. I wish you in my style and it would be a Sudoku to Solve. Do you like Shading ? Well here is Ongoing Shading Round of Puzzle Ramayan 15-16 on Logic Masters India authored by Me. This episode has 22 puzzles, with 5 base puzzle types and 2 Instructionless puzzles based on two of the types. If you are having any trouble with any of the puzzles, please comment in forum or here , and will post the steps to solve those puzzles.